Woody the weight lifting Goblin, trying to get a few muscles, to stop the fairies pushing him around. No one can deny the charm of these lovely characters. 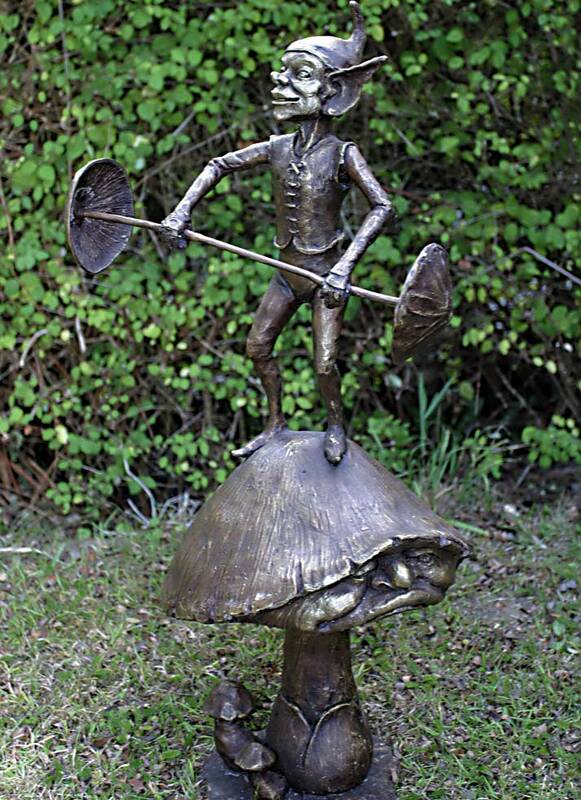 Bronze Goblins, beautifully made, to create something which not only looks superb, but will also last a lifetime. Hot cast in solid bronze and hand patinated to create and individual finish.